This stirring, upbeat song was known, before it appeared on the album, as The Poet, and it seems likely also to have been circulating in the late sixties as a demo, Gonna Really Cook, that was offered to Dusty Springfield among others, and never covered (although it seems to have been played, according to a 1969 interview in the Sandie Pandie fanzine, by Sandie Shaw – whom Brooker accompanied when the Paramounts were her backing band.) Shaw has now (2001) no memory of Gonna Really Cook but it could be identical to a song about 'going down to the kitchen to write a prayer' that her management company objected to, and which was consequently withdrawn from her set, and from the planned album One Foot on the Seashore, which is now a highly-prized collector's item. 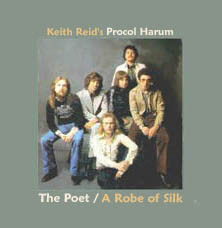 The history of the song, as it appeared on Procol's Ninth, is closely bound up in attempts by rival record labels to poach Procol Harum from Chrysalis; one such bid involved an attempt to hype the band's reputation by having Keith Reid elected to the Royal College of Poets. Part of the poignant chorus, so often taken to be Reid's heartfelt plea to his muse, was in fact penned by executives from Valkyrie Records and translated from something written in the ninth century (cf the title of the album it was taken from), known in three contemporary or near-contemporary manuscripts, one of which is entitled Frydeswye his Prayer. St Frydeswyde is the patron saint of poets, and the second line of her prayer (adapted) has served as a motto on the shield of the Royal College of Poets since they were granted their arms by the College of Heralds in 1612. It translates literally as 'just a thought to sow a seed', and the rest of the verse bears an unmistakable resemblance to the chorus of the present song. Needless to say, this plagiarism cut no ice with the College of Poets at all, though the third and fourth stanzas were printed, under a different title, in their 1977 anthology, These You Have Loved. An early version of this song, with the lyric sung in Latin, was played at a 'local bands' showcase organised by Croydon's Radio KBSR, of which a good quality tape survives (mp3 here): the singer is possibly not Brooker, though it is probably not Ray Royer or Bobby Harrison either; it appears to contain an extra verse that tallies nicely with Sandie Shaw's memories, in which the poet says he is going downstairs to write a prayer, but the gods will not listen to him because they are not there and [very hard to hear this] he is not able to concentrate when the ceiling is about to collapse ('coelum collapserit'). 'I'm going downstairs to be a poet': at this time (according to an interview in House and Home), the author of these words was in fact lodging in a mezzanine, while builders worked on the upper and lower floors. This verse dates from the same time as the 'burning stairs' of Power Failure, which was almost certainly inspired by the heady aromas generated while stripping-off the accumulated paint and varnish from the baluster of the Lake Geneva mansion that the band was restoring to be their communal home and recording studio. 'Got a great idea: gonna write a sonnet': to write a sonnet ('little song') is the only entry requirement of the Royal College of Poets, but the piece has then to be approved for a public reading by the Master, and in practice very few submissions are accorded this status. The management of Valkyrie had an 'insider' on the panel at the Royal College and hoped that Without a Doubt would pass muster with the Master of the Scrolls; had this been the case it would eventually have been read to the Queen and, if approved, have resulted in the ennoblement of its author: history tells us that this was not to be. 'A verse or two of peerless prose': the word 'peerless' occurs only on the record; in performance both before and after, Gary Brooker sings 'cheerless'. 'Peerless' is of course a pun reflecting the lack of 'peer' approval at the time, and is further proof that no-one in the inner circle expected Reid to be promoted to the House of Lords. 'A priceless quip': the Master of the Scrolls at the time was Emeritus Professor Sir Hadrian Quipp, author of The Immaculate Roastings and other books of free verse. 'Priceless' is a pun on 'free' in its sense of 'without price'. The music at this point is derived from the accompaniment to Butterfly Boys (itself a renamed track, having originally been announced on tour as Gutter-fly Goys). 'to gild the rose': 'gild' is the same word as 'geld' and the reference is to castration: a bleeding rose appears in the Tympanum of the original College of Poets' building in Spitalfields, London (now a night-club, coincidentally named Shades). 'I'll make my fortune overnight': the song Fortuna, an Italian re-titling of Repent Walpurgis, had sold better than any other Procol song in Europe, and the royalty payments had been shared between the band and Quipp who had in fact written only the first few letters of the title. 'My work will set the world alight': this is a direct quotation from the Testament of Jennet Drough, the seventeenth-century diarist who chronicled – indeed started – the Great Fire of London, when she set the document ablaze in peevish despair at the inconstancy of her lover, Sir Wilbur Raleigh. The Testament was later shown to be a fake, and rumour persists that it was in fact written by Jennet Drough's sister, a simpleton. 'Just a line is all I need': the word 'line' has many meanings: railway line, a line of cocaine, a fishing line, a line of people at a 'bus stop, a line-out in a Rugby match, a liner-note on a record, a 'liaghon' which is a Southern Irish word for a special kind of vellum for writing sonnets on, a lion, and of course the town of Lyon, near which the Procol tour bus may well have passed on more than one occasion. 'Just a thought to sow the seed': most fans hear this as 'to sew my sleeve', and consider it to be a reference to the unusual tail coat, with naval motifs on the lower arm, that Gary Brooker always put on just before singing this number, and took off immediately before the final chorus. 'Just a word to start me out': The Koran assures us that 'in the beginning was the word', which Reid later parodies as 'into a great tree a small word did go' which neatly corresponds with 'strangle them with worms' in Look to Your Soul, where a long, sinuous animal is so obviously exactly the right choice. 'Without a doubt': since Without a Doubt was being groomed as a single, various attempts were made to rewrite the lyric in a more positive light, leaving out the words 'without' and 'doubt' which were thought to be no use for dancing to. The music at this point was also cut out in order to shorten the record. 'I'm going downstairs to write a book': when this song was performed at a benefit for the Camden Twelve, protesters who had been sentenced to deportation for dancing in a dried-up canal, the words were changed to 'I'm going downstairs to right a wrong': the Camden Twelve were promptly let off, but chose to go to Australia anyway: 'the music scene's better down there,' one of them said on local television. 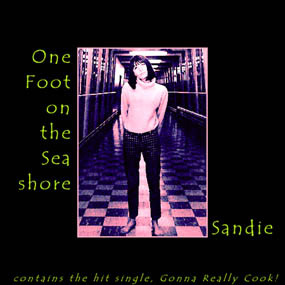 'Got a great idea's gonna really cook': it has been suggested that the song was originally about making a pie; certainly in later touring versions of the song, cookery slides were flashed up at the back of the hall and 'they will cut you up and throw you in' was addressed to a small mound of giblets. 'A rattling good yarn with an ironic twist': the pages of a book are 'ironed' together into 'twists': Reid deftly exploits the double meanings of 'yarn' (both 'daisy' and 'chain') and 'twist' (the characteristic 'type' of cotton and the unexpected compounding in a paragraph). 'Rattling good' is an interphrastic coinage of approval: 'rattling' of course relates to snakes, as does 'rivetting', in the next line, to a lesser extent. 'This book is a scorcher': St Corcha is the patron saint of Sardinia, and was adopted as mascot by the Royal College of Best-Sellers in 1905. 'Scorcher' is probably a corruption of her name. 'Just the first part's all I need': the writer contemplates writing a novel in parts, and at this point Brooker cleverly brings in another 'part' of the music. It was touches like this that so endeared audiences to the band at the time. 'The rest will come with lightning speed': the word 'speed' has obvious drug connotations, and some have sought to show that the sprightly tempo of this song and particularly The Piper's Tune are in some way connected with this fact. 'My pen will dance across the page': in the early 1950s when the French author Jean Genet was writer-in-residence at Our Blessed Lady of the Assumption Primary School in London's Mile End Road, he devised a notorious performance-piece for his young charges entitled The Dancing Pen. This work, in which members of the London Collective of Prostitutes were hired to play a chorus of Haunted Inkwells, was intended as an end-of-term diversion, but saw only one performance before it was shut down by Her Majesty's Censor, and Genet was subsequently arraigned on charges of gross moral turpitude. We have no evidence that Reid was present at this performance, but there cannot have been a school-child in Britain at the time who was unaware of it. 'I'm going downstairs to write a prayer': the word 'prayer' is difficult to sing, which is why it is not used in this number. 'This serious drama won't be understood': Reid is known to be a devotee of Samuel Beckett, who in turn was formerly amanuensis to James Joyce. Joyce, through his wife Norah Barnacle, was in touch with a sea-faring family named Clack, tea-importers in the East India Dock, and it's thought that they were the people referred to in this song, who 'didn't understand' what was going on. '"At last a new writer, a true nouvelle vague"': 'nouvelle vague' is French for 'vague news' and refers to any kind of rumour, particularly news-items heard first thing in the morning when one is not really concentrating, or radio documentaries broadcast during a power cut or when batteries are in short supply. 'king of the stage': the allusion is to Davy Crockett's uncle, Lobelius Fargo, who ran the coach from Memphis to Canberra and called himself 'King of the Road'; this gave rise to the popular hit of that name by Jim Reeves, whose harmonic structure (I, IV, XIIa, B minor, three flats, VII) the present song is closely based upon. 'Just a story's all I need': 'Story' is a word often used by Reid in referring to his songs (the titles of Barnyard Stories and Whaling Story, 'like my story' from the unpublished Burn Down the Town, and 'a pimple story that maybe in the end became a pong' from After the Goldrush): so perhaps in the end the focus of this excellent lyric does come round, in the poet's own terms, to a bedtime story for children who have not yet been born, and who to some extent never will be.